Feel a breath of energy and optimism in the refreshing scent of the green Hello Nature series. Cannabis oil grown far from the hustle and bustle of civilisation will provide your hair with flexibility and a bit of natural hair! 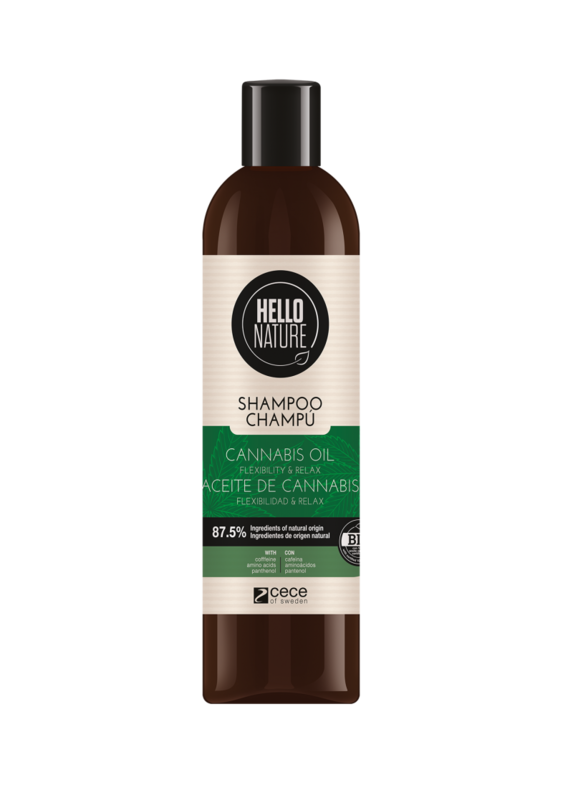 CANNABIS OIL FLEXIBILITY & RELAX shampoo. This is gentle cleansing and intensive regeneration of your hair. It gives a sense of hair moisturising and improved elasticity. Directions for use: Apply a small amount to wet hair, massage gently into a lather, rinse. Repeat and eenjoy beautiful hair! CANNABIS OIL FLEXIBILITY & RELAX conditioner. This is a dose of strengthening and regeneration for weakened and brittle hair. It leaves your hair shiny and more flexible. 94,5% of the ingredients are of natural origin. Directions for use: Apply a small amount to wet hair after shampooing, avoid direct application to the scalp. Leave for 2-3 minutes, rinse thoroughly and enjoy beautiful hair! 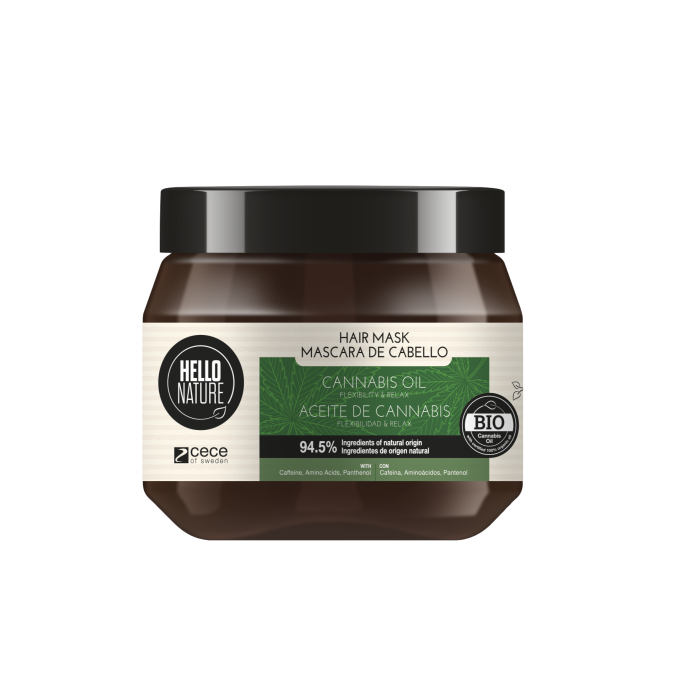 CANNABIS OIL FLEXIBILITY & RELAX mask. The intense treatment of this mask reduces brittleness and intensely nourishes your hair through strengthening and improving its flexibility. Your hair becomes stronger, thicker and better nourished. Dermatologically tested, 94,5% of the ingredients are of natural origin. Directions for use: Apply a small dose to wet hair after using shampoo. Leave for 5-10 minutes, rinse thoroughly and enjoy beautiful, relaxed hair! CANNABIS OIL FIRMNESS & RELAXATION shower gel. Cleanses the skin, improves its elasticity and leaves it deeply moisturized. Your skin is regenerated and feels supple and soft to the touch. Directions for use: Apply a small amount to wet skin, gently massage until it foams. Relax and enjoy the softness and smootness on your skin. 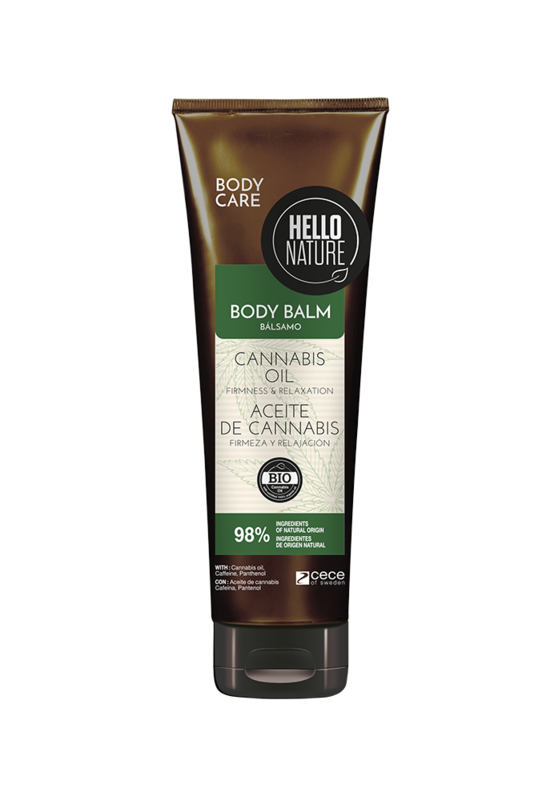 CANNABIS OIL FIRMNESS & RELAXATION body balm. 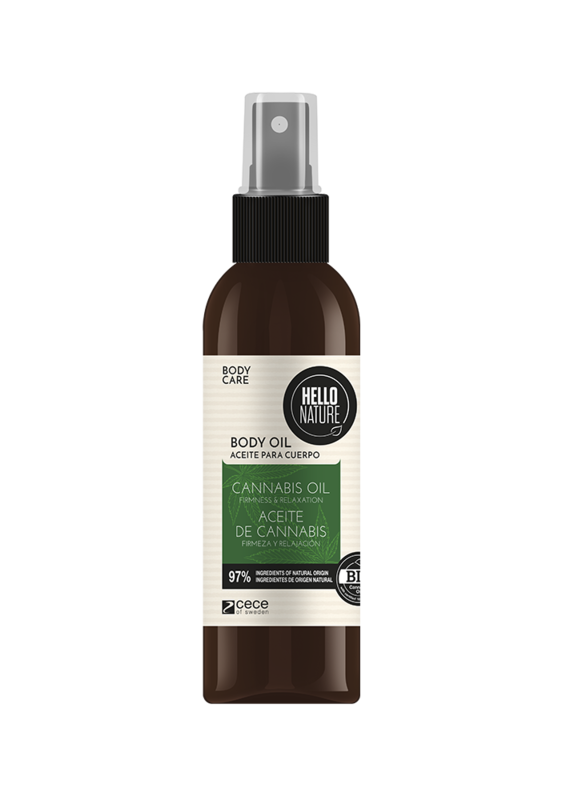 CANNABIS OIL FIRMNESS & RELAXATION body oil. Intensly moisturizes your skin and restores its smoothness. Directions for use: Pour a few drops of the oil into your palms and rub all over the body. Relax and enjoy the softness and smoothness of your skin. 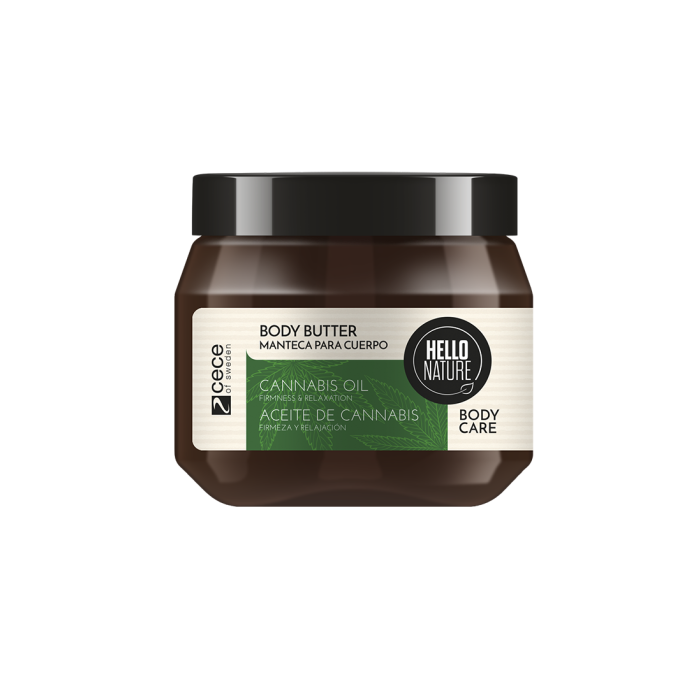 CANNABIS OIL FIRMNESS & RELAXATION body butter. Directions for use: Apply a small amount to wet skin, and gently massage until fully absorbed.